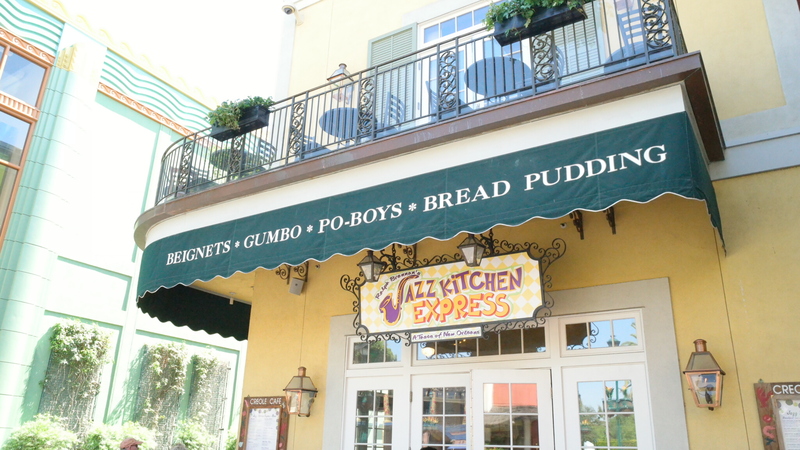 RB’s Jazz Kitchen offers New Orleans cuisine such as Jambalaya, Catfish, Gumbo, etc. They also have a lot of options for kids- pasta, chicken strips, cheeseburgers and more. Every Sunday they have brunch from 10 am to 3 pm with a live Jazz band playing. The biggest draw for me are the beignets. 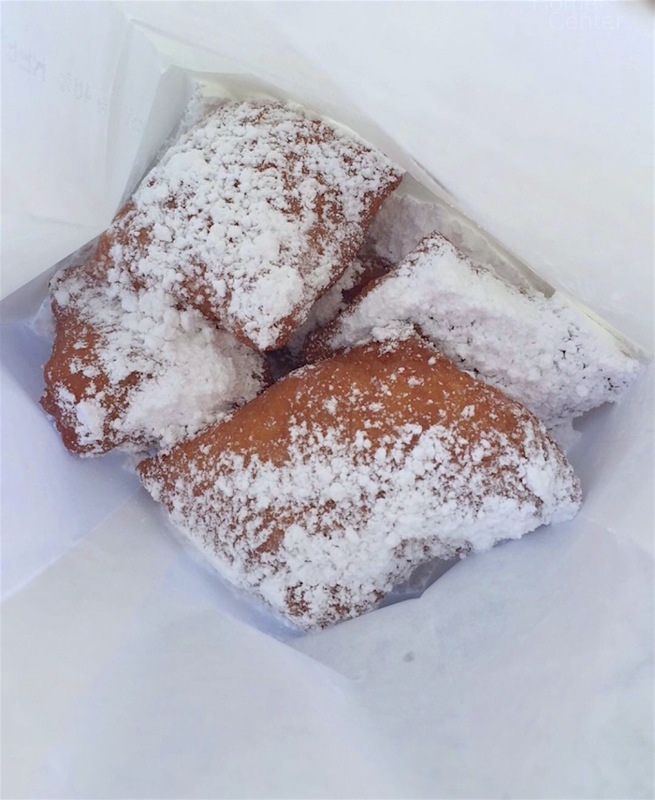 If you aren’t familiar, beignets are a New Orleans classic! They are French donuts deep fried and topped with powdered sugar. If you want something quick rather than dining in the restaurant, next door is Jazz Kitchen Express. We were visiting Downtown Disney this past weekend and had other plans for lunch so we stopped in at Jazz Kitchen Express just for beignets. 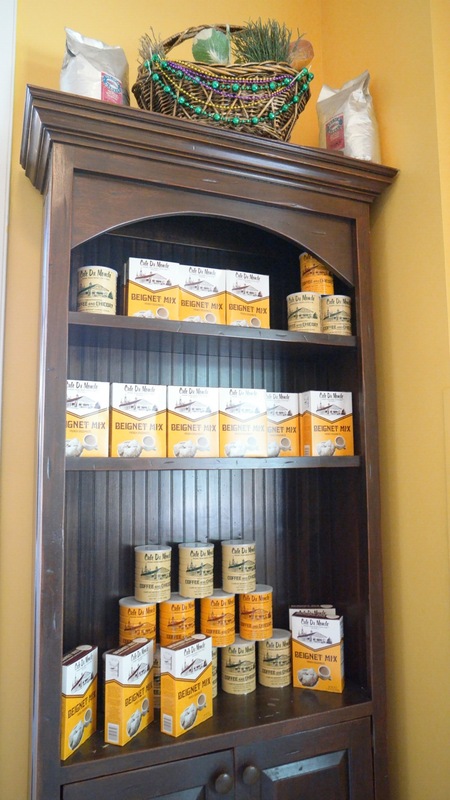 When you walk in the Jazz Kitchen, they have shelves lined with Cafe Du Monde Coffee and Chicory grounds and beignet mix in case you want to grab a box or several and make your own at home. Perfect souvenir if you ask me! 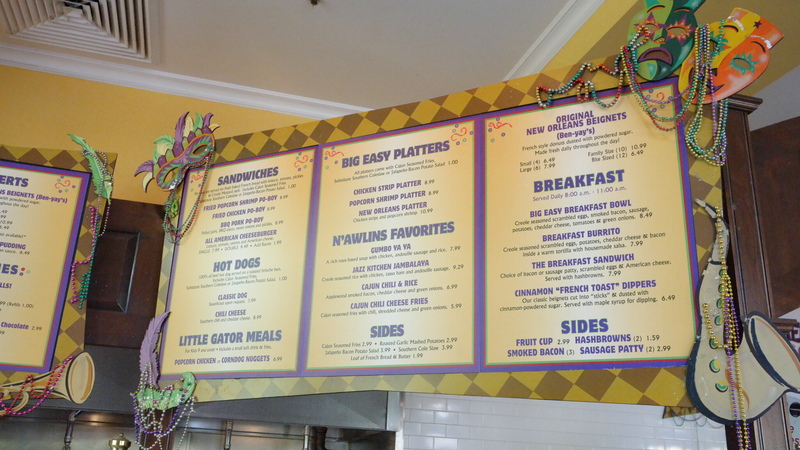 Jazz Kitchen serves breakfast daily from 8 am – 11 am with breakfast bowls, burritos and a breakfast sandwich. The item that caught my eye are the Cinnamon “French Toast” Dippers, which are beignets cut into strips and dusted with cinnamon-powdered sugar. We missed the window for breakfast, but one day. 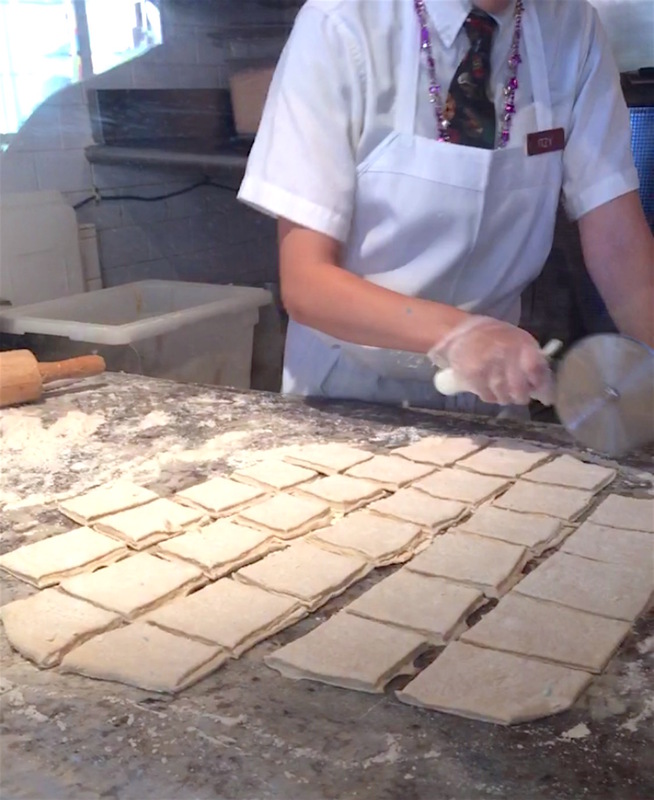 We caught some beignets being rolled out and cut, which my boys had fun watching. To be honest, us adults did too. Pretty neat to see they use a pizza slicer. Check out how thick the dough is. That is a good indicator of what is to come. We ordered a small order of beignets, which came with (4) beignets. You can also order them Large (6) beignets, Family size (10) beignets, or Bite Sized (12) beignets. 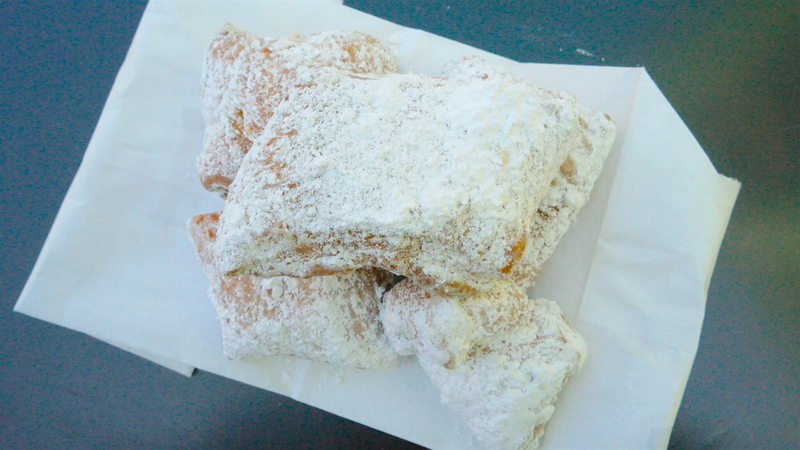 The cashier handed us our bag of beignets with a generous helping of powdered sugar. We headed to a table outside to shake them up. They are so beautifully golden! Donut pillows…ha! And score, we got a bonus bite sized beignet in our bag. It’s the little things (literally)! Each beignet was so hefty that I knew something good was going to happen. The inside of the beignets just about made me cry! They are so doughy and soft in the center, with the perfect crisp on the outside. 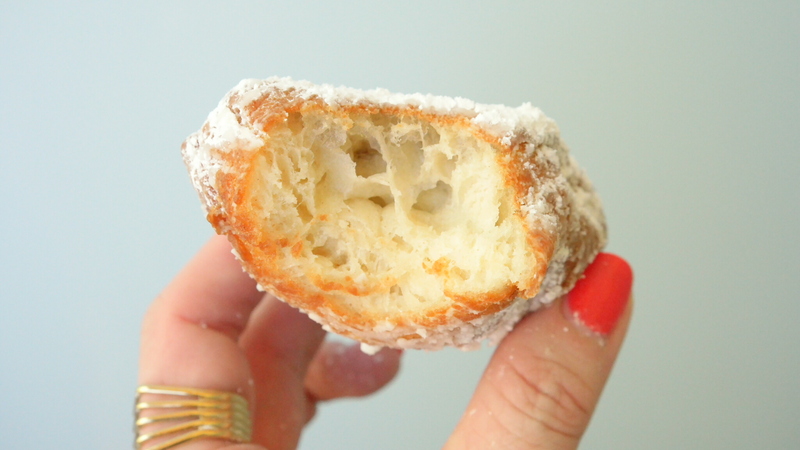 Don’t let yourself go to Downtown Disney without getting yourself some beignets! 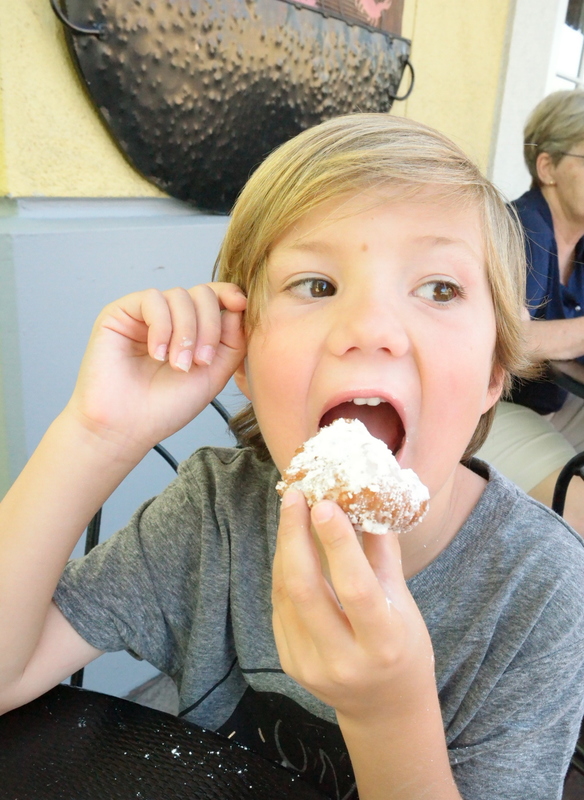 We had a big moment for our food loving family, our picky little boy who does not like much food wise ate a beignet. Hayden loves the smell of bacon, but will not touch any to his lips. He hates that ice cream is cold and nearly cries if we ask him to try a bite of a donut. We have even tried to convince him to try a Mickey beignet since he loves Mickey, to which he always turns up his nose. But at Jazz Kitchen, he saw the beignets and asked for one. I was so excited that of course I had to document it with a picture. Did I happen to mention I wore a black dress on this day?! Not the best option for beignets. Be prepared to be covered in powder sugar! 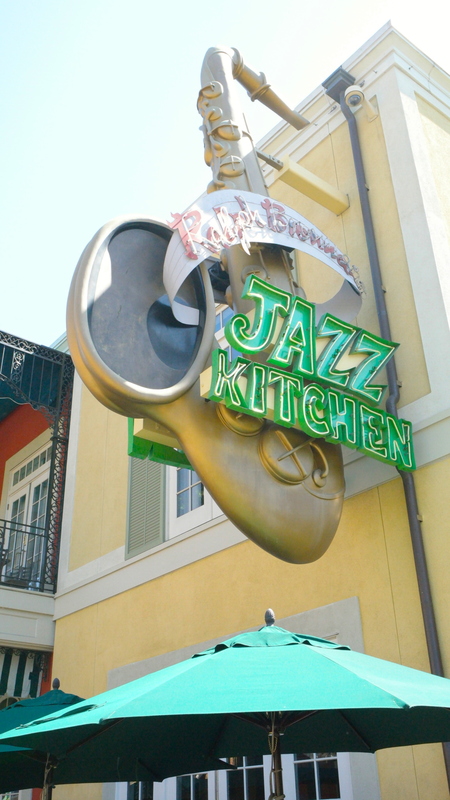 Annual Passholder discount applies at Ralph Brennan’s Jazz Kitchen and Jazz Kitchen Express.